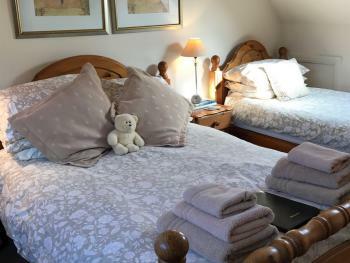 The rooms in the main house and are twin ,double or king all are ensuite with showers. 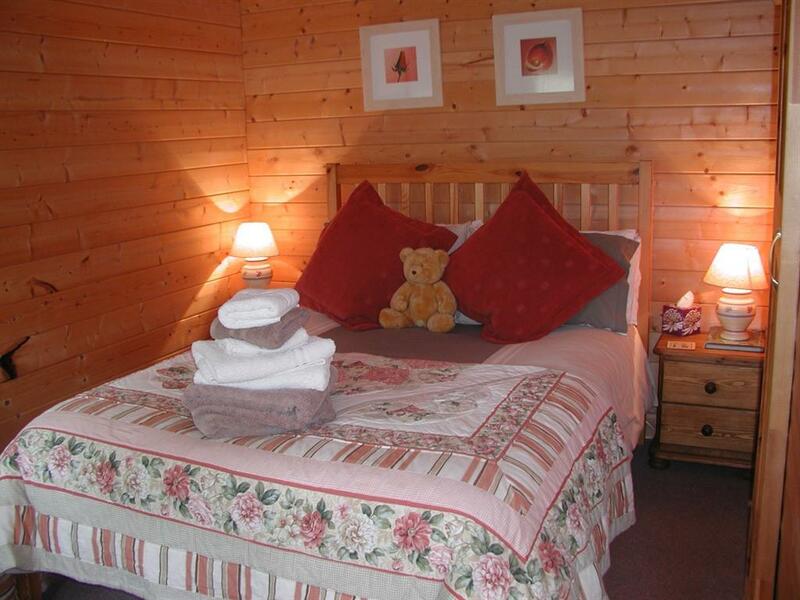 we have cots available for the little ones but we do suggest you bring your own bedding . 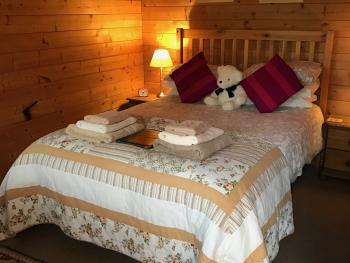 All are light and airy , very pleasantly decorated well equipped with good quality bedding and fluffy towels . A welcome tray of tea, coffee, hot chocolate and biscuits, awaits to refresh you after your journey. All rooms have tv, hairdryers and ironing facilities . 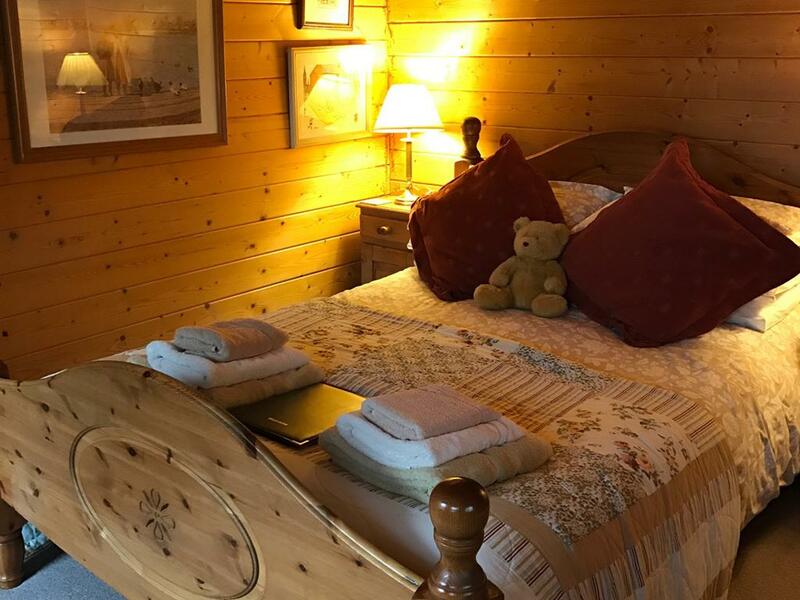 Our log cabins in the garden are double bedded and are well equipped with en-suite facilities with shower,a welcome tray of tea, coffee, hot chocolate and biscuits, books, tv, hairdryer and ironing facilities are there too. They also have a balcony with sitting area overlooking the lovely, peaceful, garden. Some rooms are pet friendly please ask before booking to ensure there is a room available .We do have a ground floor twin/superking with a wet room for those who are not good with steps,a lovely room with a nice little seating area just outside the door so you can drink a cuppa in the sunshine.We have a lovely well equiped kitchen for all guests and a comfortable sitting room with views out over our paddock and gardens. 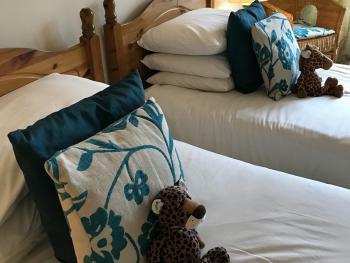 A family room with a double and 2 singles ensuite with shower,The room is light and pleasantly decorated the beds are comfy with good quality bedding and towels. 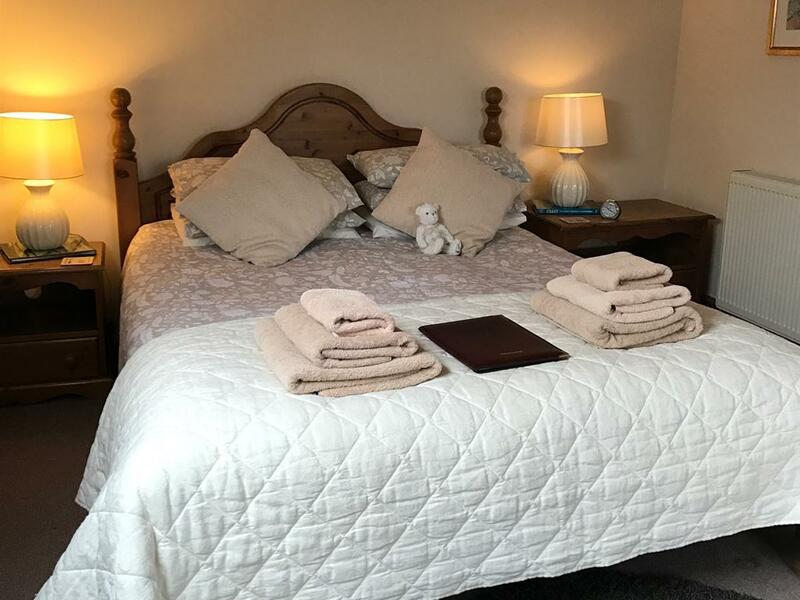 A welcome tray of tea coffee hot chocolate and biscuits awaits to refresh you after your journey.The room has tv hairdryer,and ironing facilities . 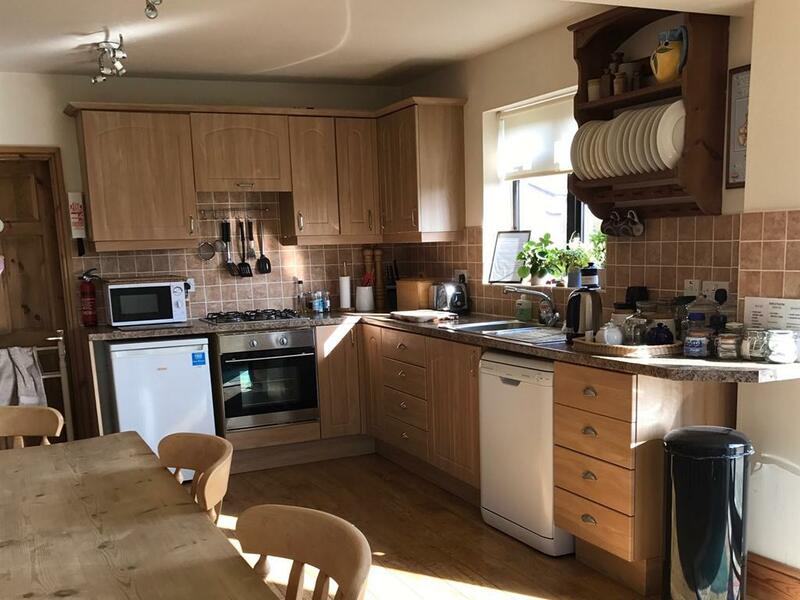 There is a well equipped kitchen for all guests and a comfortable sitting room for you to relax and enjoy the view . 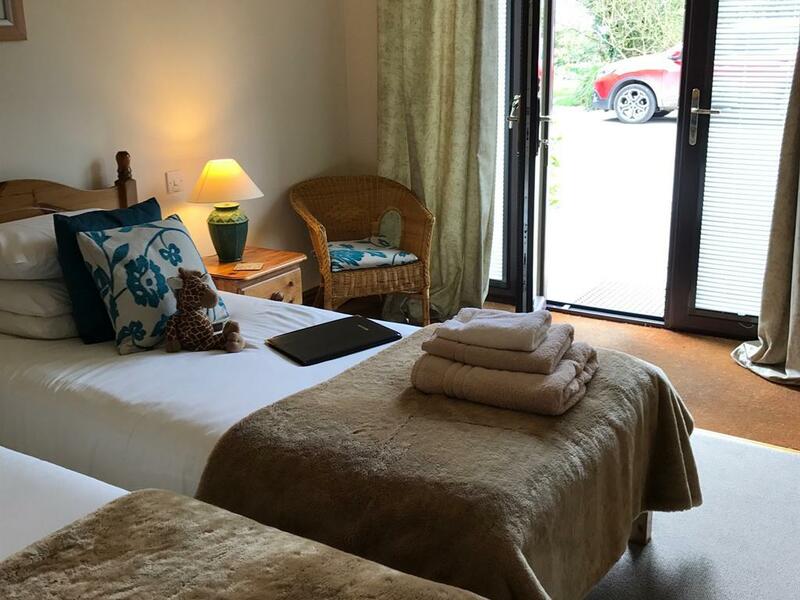 Whether you're here for a holiday, a romantic break, a business trip , visiting friends or family, we can offer you a quiet countryside location. 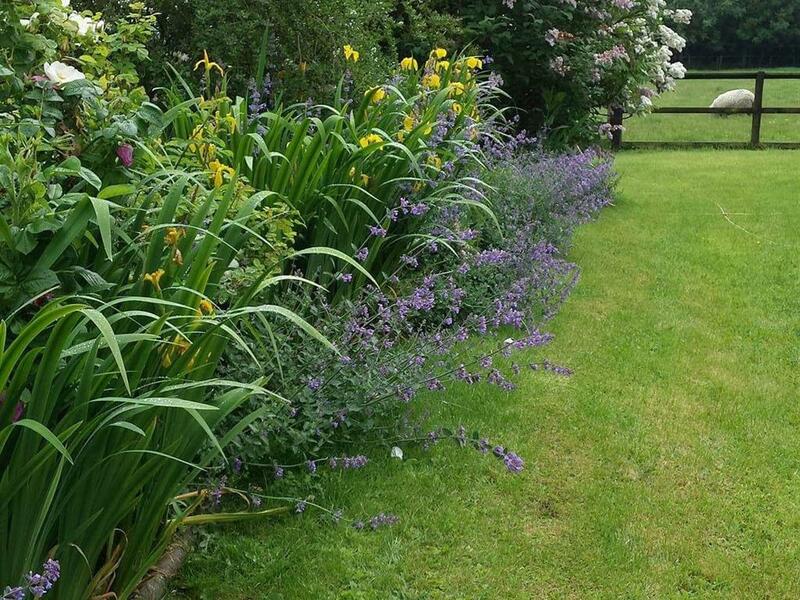 There are lovely walks and cycle routes from the B&B and we have secure cycle storage available. There is one Italian and two Indian restaurants close by in Market Weighton, and the newly refurbished pub The Bay Horse serves excellent food, Other pubs close by include the michelin star restaurant The Pipe and Glass which is only 7 miles away, also the Goodmanham Arms is only 2 miles away and serves lunches/drinks. 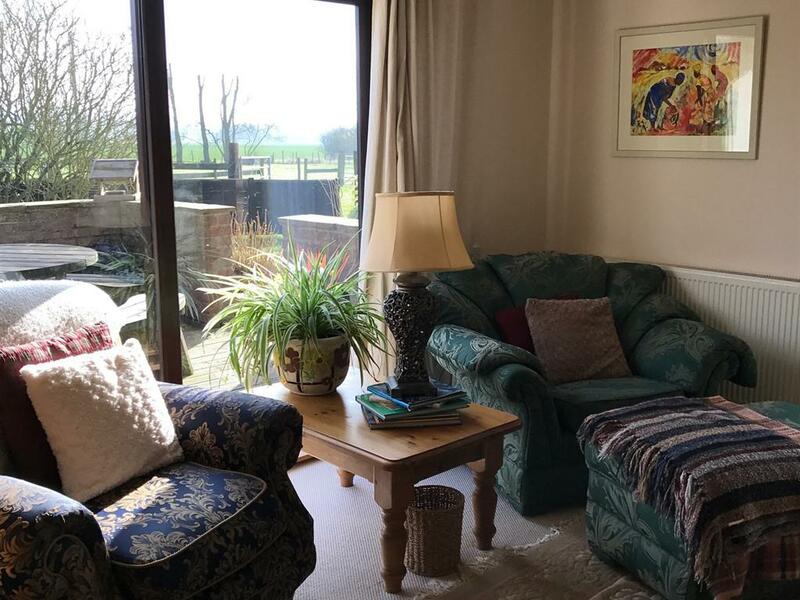 For a taste of the seaside,see the puffins at Bempton whale watching at Bridlington,together with Scarborough, Whitby and the surrounding coastline beaches are only a short car journey away, where you can get the best fish and chips money can buy. Visit Hull, recently named the city of culture 2017, for a great shopping experience in the newly developed Princes Quay and St Stephens. 'The Deep' gives visitors a family-friendly underwater adventure,as well as finding out the history of fishing and whaling on the east coast. The Yorkshire Moors are only a short distance from us with breathtaking scenery. Close by are the historic towns of Beverley, Malton, Pickering, Pocklington and of course the wonderfull City of York. 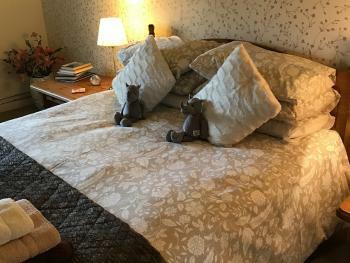 Castle Howard, Burton Agnes Hall,Sledmere House for a historical tour are just some of the beautiful houses in Yorkshire. 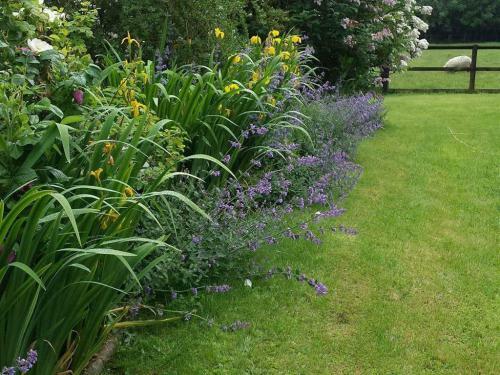 Burnby Hall Gardens, the home of the biggest hardy water lilies in Europe, is an enchanting place you can explore the hidden gardens feed the enormous fish or you can just sit and enjoy the sunshine . There is also Flamingo Land, Allerthorpe Water Park, Elvington Air Museum and lots more attractions for the kids. 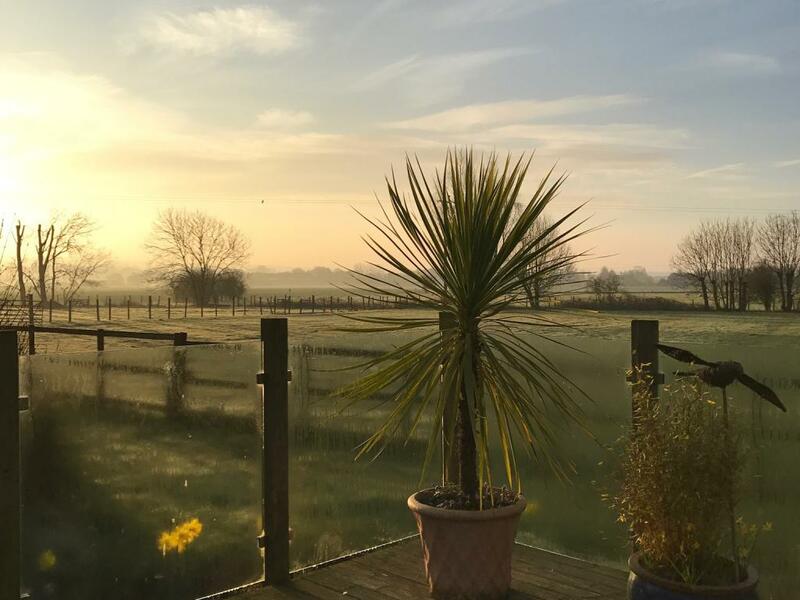 For those wanting to do some bird watching,there is North Cave Wetlands, and Blacktoft Nature reserve in the winter months home to thousands of pink footed geese. 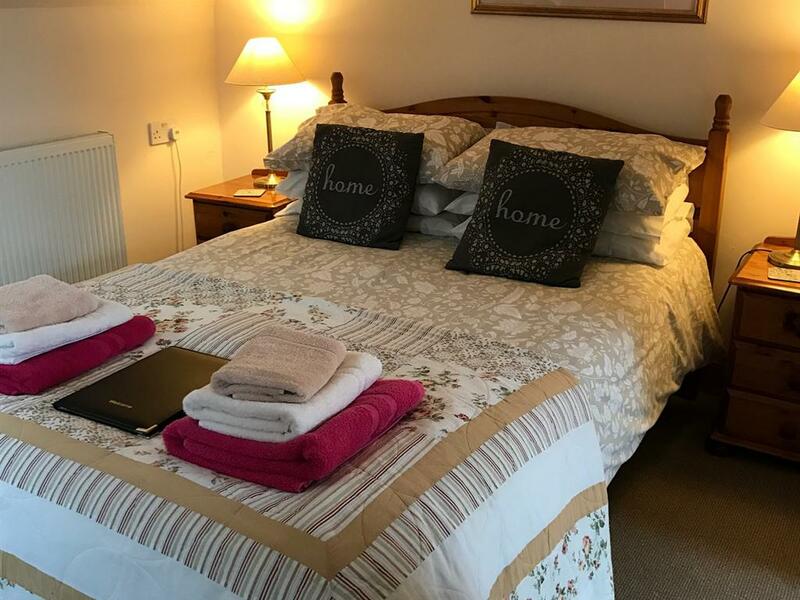 At Robeanne House we have 1 twin with wet room and 1 spacious king bed with bath and shower over on the ground floor .these rooms are more suited to people who have difficulty with stairs. On the 2nd floor we have a family room with king bed and 2 singles en suite,a King bed and a family room with a double and one single en suite. The two log cabins (double bedded with en suite en suite showers) have small steps and they are hidden away in the garden,so not really suitable for those with severe walking difficulties.